"Portugal is not all that far away, or exotic, or dangerous, but it felt like a huge stretch for me to leave my partner, family, job and home and just go off. An overland solo trip lasting months in an ancient little campervan was not the kind of thing I did. But it was something I was about to do. 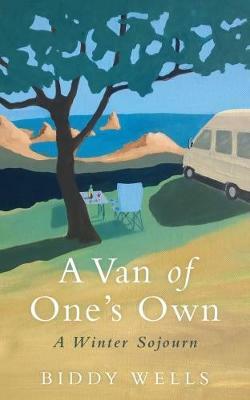 "In her debut memoir A Van of One's Own, Biddy Wells tells the story of how, propelled by a thirst for peace and quiet, for a modest adventure and, perhaps, for freedom, she left for Portugal on her own, with only her old campervan, Myfawny, and her GPS, Tanya, for company. Having left just about everything behind, her solo trip forces her to face her fears, her past, and herself. The road provides the perfect canvas to connect the dots between a past breakdown and her present need for freedom, as she reflects on her own life, her relationship, her family and the world around her - to see whether her life still has room for her in it. As she meets wise and not-so- wise people, members of the campervan community and friendly locals, her outlook on life begins to shift, and a chance meeting in a bar leads to the person who will put her on the right track.But will she go back home, to Wales?And what is the meaning of 'home? 'A Van of One's Own is a journey through the breath-taking scenery of France, Spain, and finally Portugal, populated by colourful characters and the roar of the ocean, the taste of fresh fish and the grind of the asphalt; but more importantly, it is a journey through past memories and present conflicts to inner peace.